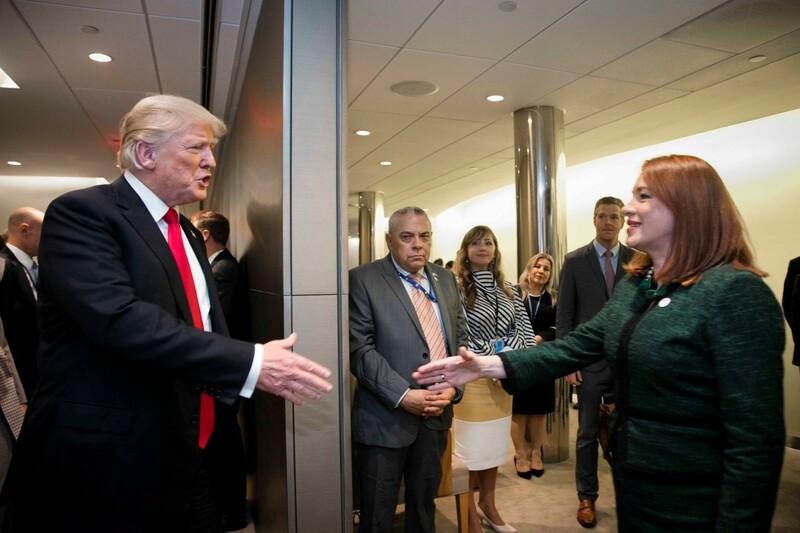 María Fernanda Espinosa Garcés (right), President of the seventy-third session of the General Assembly, greets Donald Trump, President of the United States of America as he arrives at the UN Headquarters in NYC, on September 25, 2018. UN Photo/Ariana Lindquist. US President Donald Trump addressed the United Nations General Assembly in New York on Tuesday, September 25th, 2018. Thank you very much. Thank you."